As many as 100 pieces of art, while you walk along the 100 steps. Taking off your shoes, you can feel relaxed and appreciate the arts. Hyakudan-kaidan' (one hundred steps) is a wooden architecture and a tangible cultural property of Tokyo. It was built in the beginning of Showa era as a banquet room. 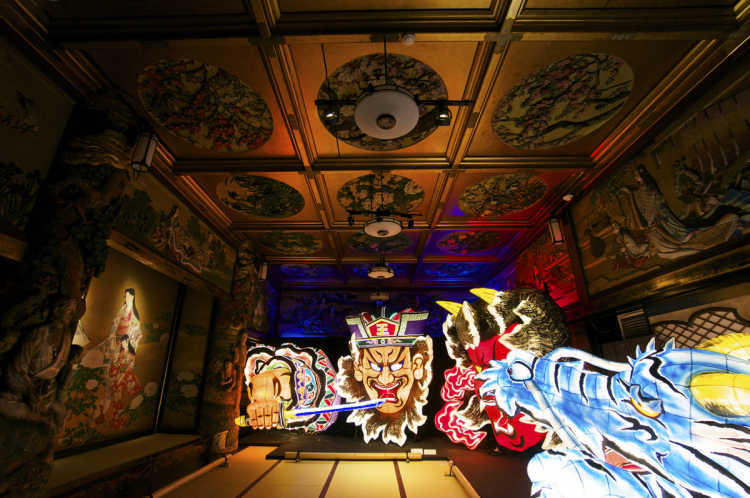 The interiors of the seven Japanese rooms are worth seeing! 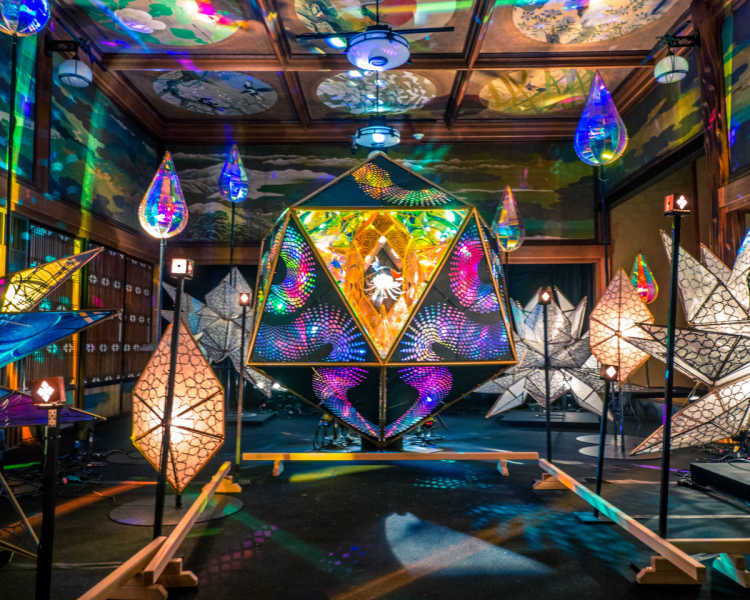 During summer, the collaboration exhibition with lights like Japanese festivals and artistic lights wins popularity. Some people wear yukata, summer kimono, and enjoy it. 'WANO AKARI × HYAKUDAN KAIDAN 2018' At a room named 'Sōkyū-no Ma', the art work designed by MIRRORBOELER who has excited big stages such as worldwide rock concert and Japanese National Tresure Himeji Castle, on the theme of white-black, negative-positive, shadow-sun, and life-death. At the most gorgeous room named 'Gyosho-no Ma' finished with fine gold, and surrounded with colored wood carving and Japanese paintings. 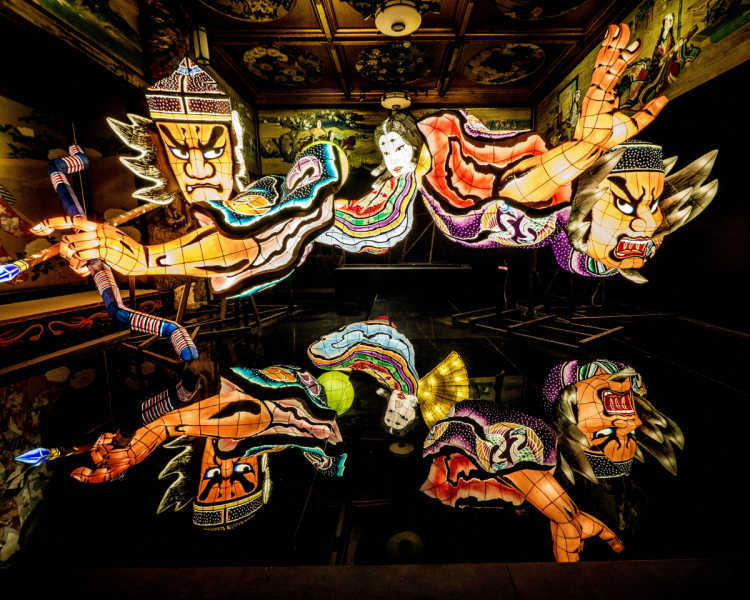 It's on the theme of Aomori Nabura Festival, and they express a voyage of Nebuta. 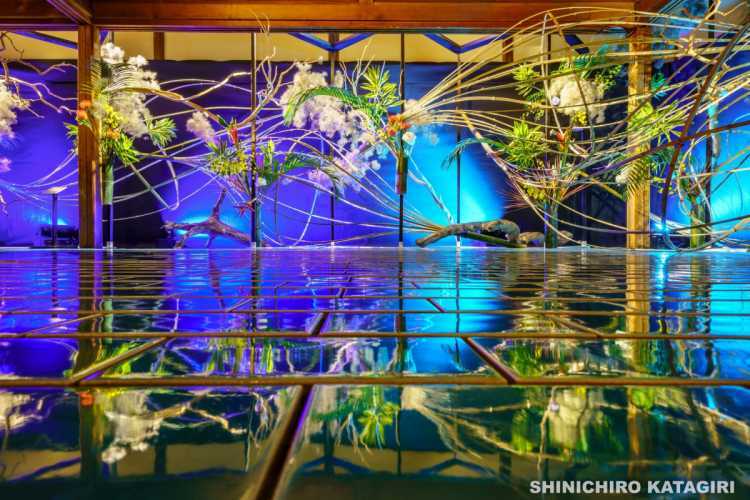 The floor reflects Nebuta beautifully like a water mirror.